The Kentucky legislature approved an industrial hemp bill Wednesday in the final hour of the session, but only after last-minute negotiations brought it back from the dead. Whether Gov. Steve Beshear (D) will sign it remains to be seen. ]The bill, Senate Bill 50, would allow for industrial hemp production in Kentucky, if the federal government allows it, which it currently doesn't. It keeps the Kentucky Industrial Hemp Commission, which was created by earlier legislation, in the state Department of Agriculture and gives the University of Kentucky authority over hemp research. Fighting over whether to shift the commission as well to the University of Kentucky nearly derailed the bill. The bill's lead sponsor, Sen. Paul Hornback (R-Shelbyville) and its chief advocate, Agriculture Commissioner James Comer, had to fend off efforts by House Majority Floor Leader Rocky Adkins (D-Sandy Hook) to shift the commission to the university. Once agreement had been reached, the bill passed the House on an 88-4 vote, and the Senate then approved the compromise language on a 35-1 vote. The bill now goes to Gov. Beshear, who has said he shares concerns aired by the Kentucky State Police, who opposed it on the grounds that it could make enforcing the marijuana laws more difficult. Beshear has not said whether he will veto the bill or sign it into law. The bill was also supported by the Bluegrass State's two Republican US senators, Rand Paul and Mitch McConnell. McConnell is also an original sponsor of this year's federal hemp bill, Senate Bill 359. According to the industry group Vote Hemp, eight states have already passed laws removing barriers to hemp production, while others have passed bills establishing commissions or research activities or passed resolutions endorsing industrial hemp. Fifteen states have seen hemp bills introduced this year. Even for the Drug Warriors there just is literally no good reason to ban industrial hemp. That's not even a drug.. it can't get people high. There's next to no THC in this strain of hemp... why is it lumped in with the psychoactive strains and considered a controlled substance? Can anyone who's on the anti-side of this actually explain that to me, because I'd love to hear the explanation. Go to YouTube and watch the Gub Prop film, "HEMP FOR VICTORY!" LOL! The Gub can't explain it either. It's probably because "industrial hemp" is a plant of the cannabis family, cannabis ruderalis. Cops claim that they can`t tell the difference between Hemp and Marijuana . Maybe they need some training , you think ? Imagine being arrested for 2 grams of dried Hemp leaves . What would you do with it ? Cops support Cannabis prohibition for the $$$ and everyone knows it . In the US, more people die each year from prescribed opioid overdoses than from heroin. In Australia, which closely mimics the US in the drug war, funding to hospitals, education, important national infrastructure continues to be cut while taxes are being raised. Every week, a teenager dies from alcohol poisoning. Pensions have been taken, retirement age raised to 70. Defense spending is cut while drug treatment centres have to rely on charity. More laws, more police and police powers, more jails, judges and lawyers are promoted by the media and police, trying to protect their jobs as the ONLY solution. Just watch an episode of WEED COUNTRY and they admit they get paid to erradicate canabis.. they believe it's more dangerous than alcohol , even hemp.. They do not want this funding yanked.! This looks veto proof to me. A veto would change the opinions of a lot of them, I bet... it makes a pretty sharp political statement to override a veto like that. Do you think they'd be willing to make such a strong statement on the behalf of hemp? 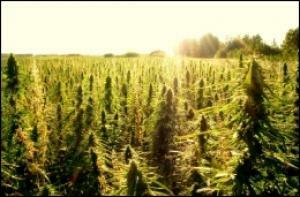 Hemp was used to pay taxes in the past. It was also a mandatory crop if you wanted land in the new world because it was so useful. I expect anyone that tries to stop hemp from being used has a monetary reason for doing so. I get police because they want more debt funding. The University of Kentucky is a mystery as to why they want it blocked. I have read about universities that have pot fields so they can develop drugs for industry, maybe the University of Kentucky is one of these double standards of the current system. But unfortunately MOST of the farm bill SUCKED!!!! Cut food stamps, keeps big farm welfare. It was a terrible laughable "compromise".